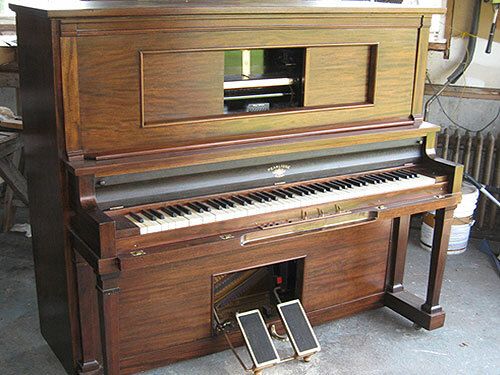 Player pianos often go through some difficult times. 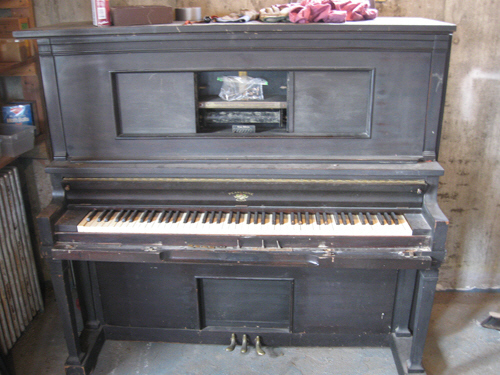 This Pearltone player piano came into the shop in rough shape. Restoration work included a new hand rubbed finish, new hammers and dampers along with a complete rebuild of the player system.